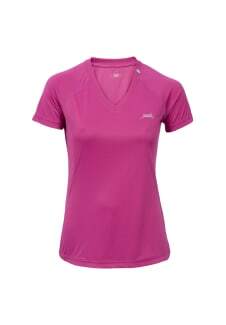 Perfect comfort and functional features - this high-quality ladies running shirt combines both components. 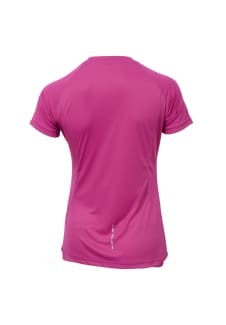 Lateral mesh panels allow the best possible air circulation, quick moisture regulation and a perfect fit for enough freedom of movement. 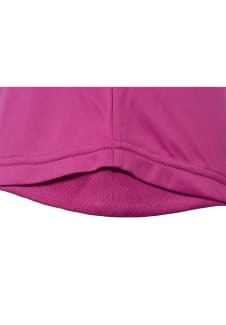 The fashionable color berry/ black and decorative seams on front and back make this shirt to your running must-have piece.